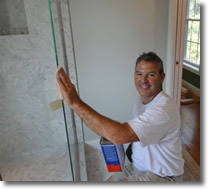 Tom is knowledgeable about all remodeling/construction, easy to work with and we trust him to do the job right! What is important to note is that the people he contracted with to do work were all highly professional skilled craftsmen. The plumbers, electrician, and tile expert were all first rate. They each did their work in a timely manner and we would use any of them again. Welcome to TPM Construction. I'm Tom McDermott. I have over 30 years of remodeling and renovation experience. I started my career in the trades and learned best practices from experts in the business. Over the years I gained knowledge and experience in building, and I found great satisfaction in working with customers on projects they had sometimes spent years dreaming about. Delivering results you expect in your renovation project and exceeding your expectations for quality, workmanship, and value is what is important to me. I am a hands-on person and I am personally involved in every project TPM Construction contracts. I partner with well-qualified design and trade experts, so that every aspect of your home improvement project is taken care of in a seamless manner. Over the years, countless customers have placed their number one investment in TPM's hands and we have built strong relationships that bring repeat business so we can continue to do what we love to do - create satisfied customers! Our projects have been varied and diverse. 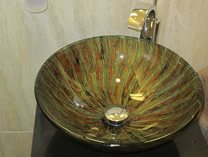 We can provide any type of construction service you may need. We serve the Greater Merrimack Valley, NH area, as well as Middlesex County, Massachusetts, including but not limited to Lowell, Andover, North Andover, Burlington, Bedford, Billerica, Tewksbury, Lexington, Concord, and Boston. Please look at our services, portfolio, and testimonial pages to see and read about some of the projects we have completed recently. Feel free to contact us, or just fill out and submit the form below and I will give you a call on the phone number you enter. 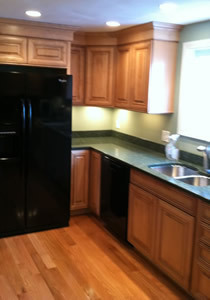 Construction, renovating, remodeling of kitchens & bathrooms, custom carpentry, painting and more in Salem, NH, and Massachusetts, including Chelmsford, Andover, North Andover, Burlington, Bedford, Billerica, Wilmington, Tewksbury, Lexington & Concord.